Join us this week as we celebrate the 6th year anniversary of our show and welcome The Como Brothers Band. Hailing from Long Island, NY., Matt and Andrew Como are songwriters and musicians that value organic music, musicianship, and songs with original integrity. Music is not a hobby of the brothers but a way of life and a career. Early in life, their father and his brothers would play at family parties. Growing up in this environment inspired them to play music, and it fast became a central part of their lives. In 2013, The Como Brothers Band took their previous experience and focused on approaching the industry with honest songs. It worked. They opened for major acts such as The Wallflowers, American Idol winner David Cook, and Jilian Jensen. In exciting news for 2015, they will be releasing their new EP album "Imagination". The new album is available for pre-order on itunes now. We will talk to Matt and Andrew about their upcoming schedule, get a behind the scenes look at their music, feature their latest songs, and ask them to share their message for the troops. 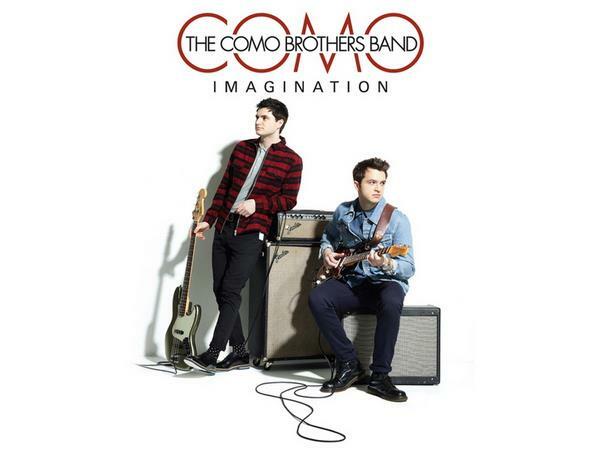 Please be sure to visit The Como Brothers Band at http://www.comobrothersband.com/ and spread the word. Fans are welcome to call in and speak live with them during the show (718) 766-4193. If you would like to participate in the live chat during the show, you must sign up on the show site first and then log in during the show. And as always we will give shout outs to our deployed military listeners. Be sure to join us, Sunday 8/9/2015 at 4 PM EDT! Our message to the troops....WE do what we do, because YOU do what you do.